August 2015 – Welcome to Daly Dose Sports- Your dose of sports and sarcasm. This is it. The big one. 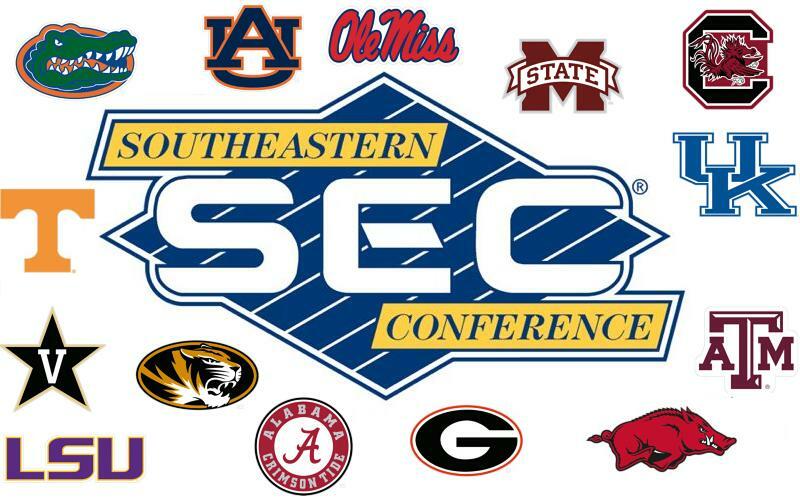 The Southeastern Conference- the greatest conference in college football. No conference in the country dominates quite like the SEC and no fan base in the country takes itself quite so seriously. I mean, this is a conference that actually chants “SEC! SEC!” when their conference teams beat teams from other (lesser) conferences. I realize that many of the SEC fans might not take too kindly to a Daly Dose type preview just as they wouldn’t take too kindly to someone bringing up the fact that they haven’t won the National Championship for two years in a row now. But I am not even going to bring that up. Missouri Tigers 9-3 You might say I’m crazy picking Missouri to win the SEC East but I notice you didn’t say anything when I picked them to win the East for the past two years, did you? Can I prove that I picked them? Can you prove that I didn’t? Georgia Bulldogs 9-3 Georgia has the most talent in the division but they will most likely lose a game or two to a team that no one saw coming. Well…except for Bulldog fans who are pretty much convinced that they are going to lose every week no matter the opponent. Tennessee Volunteers 8-4 The Volunteers return a significant amount of talent and expectations are high in Knoxville. But high expectations are not always met in Knoxville, are they Mr. Manning? Florida Gators 7-5 The Gators pulled the plug on the Will Muschamp experiment and have hired former Colorado State head coach Jim McIlwain. Florida should be in good hands eventually. As long as they don’t schedule Air Force. South Carolina Gamecocks 6-6 Steve Spurrier’s Gamecocks started off hot last year at 3-1 before losing five of their final eight. It could signal the beginning of the end for the legendary coach as they will most likely struggle again this season. Or maybe he just wants to remind the local fans of how things used to be before he got there. 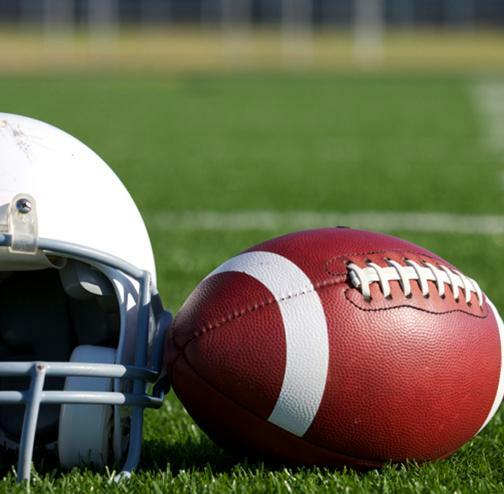 Kentucky Wildcats 4-8 Under head coach Mark Stoops the Wildcats have really started to bring in some big time recruits and the tide in football is slowly turning. Of course they aren’t the elite players that the basketball program gets but the fact is that John Calipari still pays better. Vanderbilt Commodores 4-8 Vanderbilt has a quiet reputation of having some of the most attractive coeds in the stands on game day. And it’s a good thing because you aren’t going to want to watch what their team is doing out on the playing field. Auburn Tigers 11-1 The Tigers allowed 27 points per game in 2014 so head coach Gus Malzahn went and got former Florida head coach Will Muschamp to revive the defense. Muschamp has a history of building aggressive, dominant defenses. But I’m telling you- do not let Muschamp near that offense. I saw what he did at Florida and he will screw it up. I don’t care if you bring back Cam Newton and Bo Jackson, it will be broken. You hear me Gus-Gus? I’m not joking. Alabama Crimson Tide 10-2 With all of their losses to the NFL the Crimson Tide might actually struggle a little this season. But I know how crazy their fan base is, so I am a little afraid to say that they might lose a couple of games here. Wait, what am I worried about? There are no pictures in this article. They won’t know what I’m even talking about. Ole Miss Rebels 9-3 The Rebels still have a ton of talent returning and if things break right they could contend for the SEC West. Of course they did lose three year starting quarterback Bo Wallace. So they won’t have as many costly interceptions. And that should help. LSU Tigers 8-4 For head coach Les Miles this season will come down to what his quarterback does. The Tigers always seem to have better players than anyone else they just can’t seem to find quarterbacks. I mean this is a program that actually won with JaMarcus Russell. Or despite him. Whatever. Arkansas Razorbacks 6-6 The Razorbacks are going to be a very tough team. The problem for them is that they just have such a difficult schedule. Head coach Bret Beliema has done a great job of assembling a physical and efficient team down in Fayetteville. So ignore for a second that he looks like an adult version of Butthead and just enjoy the ride. Texas A&M Aggies 6-6 Tired of his defensive struggles head coach Kevin Sumlin went and got LSU defensive coordinator John Chavis. And it wasn’t cheap. Chavis will cost the Aggies $1.7 million dollars per season. Big deal. Johnny Manziel’s parents can pay for him. Mississippi State Bulldogs 6-6 Sure the Bulldogs return super stud QB Dak Prescott but with the loss of so many starters and playing in such a tough division it looks like Mississippi State could be back at the bottom again. Sometimes it’s nice to have things get back to normal. 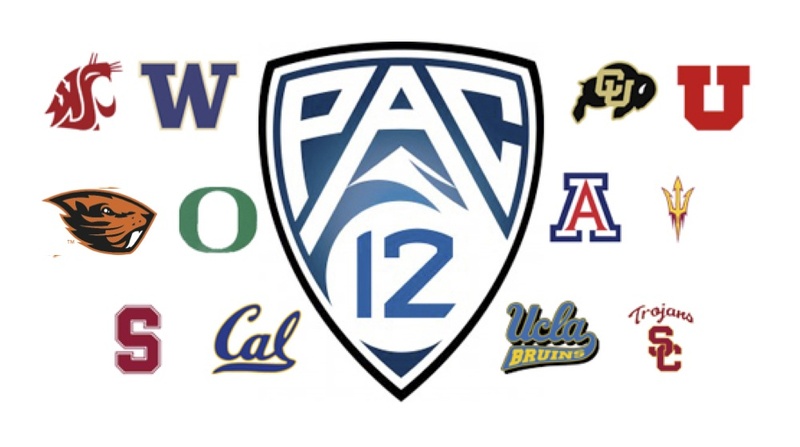 Did you miss the Pac 12 Preview? Don’t forget to tune in to the Daly Dose Sports Podcast this week for out College Football Preview episode! Oh sure, it isn’t the SEC but the Pac 12 might be the second best conference in college football and that’s pretty impressive. The Pac 12 has it all. Beautiful weather, beautiful coeds, and games that are played way past everyone’s bedtime. Ducks, Trojans, and Beavers…OH MY! Oregon Ducks 9-3 Gone is Marcus Mariota, the Heisman winning quarterback, but that doesn’t mean the Ducks aren’t still the team to beat in conference. Under head coach Mark Helfrich Oregon has another chance to make it all the way to the big game again. And probably lose it. California Golden Bears 5-7 After going 1-11 in their first season under head coach Sonny Dykes Cal surprised everyone last year by somehow managing to go 5-7 and being one of the most improved teams in the country. Good news for the Golden Bears! Since they liked last year so much they are going to go 5-7 again this year! Enjoy! Washington Huskies 5-7 Head coach Chris Petersen left Boise State for Washington and led the Huskies to an 8-6 record and a bowl game in his first season. But now the real work begins for Petersen because UW lost a good amount of talent on both sides of the ball. Or maybe he could just dye the field at Husky Stadium purple and call it a day. Washington State Cougars 5-7 Mike Leach led the Cougars to a bowl game in 2013 but WSU struggled in 2014, going 3-9. They still have too many holes to fill this season but Leach feels like they can compete in a very tough conference. And if you disagree with him, he just might lock you up in an equipment shed. Oregon State Beavers 4-8 The Beavers lost long time head coach Mike Riley to Nebraska in the offseason but Gary Anderson comes over from Wisconsin and should keep them moving in a positive direction. Will they be one of the elite teams in college football? Of course not, but they will maintain one of the silliest mascots in all of collegiate sports. And that’s something. UCLA Bruins 10-2 UCLA returns 17 starters from a team that went 10-3. Yes, they will have to replace QB Brett Hundley and LB Eric Kendricks, but if top ranked QB recruit Josh Rosen can adapt, the Bruins could contend for a title. It would also help if none of their coaches got blasted by a stray kettlebell. USC Trojans 9-3 The Trojans might have the most talented top 22 players of anyone in the country. The issue for them is still their depth due to the scholarship restrictions that were placed on them in 2011. But that’s what happens when you get caught cheating. You pay for it. Well, unless your name is Tom Brady. Arizona State Sun Devils 8-4 The Sun Devils return some talented players but their schedule is really tough. They will face Texas A&M, USC, UCLA, and Oregon all before Halloween. That’s a devil of a schedule! See what I did there? “Devil?” Sun Devils? Is this thing on? Arizona Wildcats 7-5 In his first three seasons at Arizona head coach Rich Rodriguez has already won 26 games which is a school record. Or maybe the people in Tucson just think it was a record because it was 124° degrees there and they were suffering from heatstroke. Either way. Utah Utes 6-4 Utah just keeps getting better. The Utes went 9-4 in 2014 but lost some key players to graduation and the NFL. Head coach Kyle Whittingham has done a great job of getting this program to compete in the Pac12 one of the toughest conferences in the country. It is pretty amazing really. I mean if you had told us that a team from Utah could actually compete in the Pac we all would have said BYU, right? No? Just me? Colorado Buffaloes 5-7 Colorado returns 15 starters from last season which has Buffs fans thinking they could be poised for some major improvement. But these were the same starters that went 2-10 last year and failed to win a single conference game. So good luck with all of that. 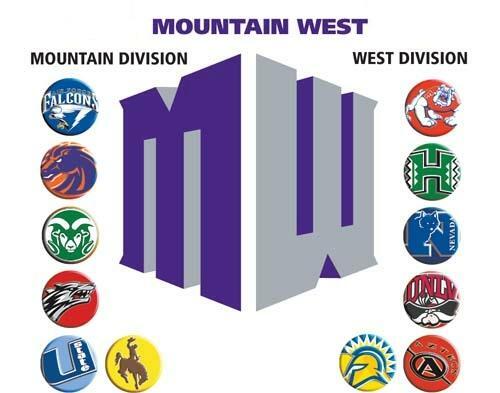 Did you miss our Mountain West Conference Preview? Tomorrow don’t miss the SEC Preview! Yes I realize that the Mountain West is not one of the Power 5 conferences but we at the Daly Dose believe that sometimes it is important to help the less fortunate. So we will provide a MWC preview and attempt to write it off on our taxes as a donation to the needy. Enjoy! Boise State Broncos 11-1 Boise State went 12-2 last season under first year head coach Bryan Harsin and they are poised to be just as good if not better in 2015. They key will be a very difficult schedule in September. If they can manage that; they could be a dark horse title contender. It isn’t all good news though as the Broncos field has some sort of fungus that turned their grass an ugly shade of blue. Utah State Aggies 10-2 Utah State? Yes, Utah State. They actually return a good amount of talent from a team that went 10-4 despite a number of key injuries. Now if they would just stop getting hurt maybe they would win some games against top competition. Are you listening Aggie trainers? This is on YOU! Air Force Falcons 9-3 Sure, they look like a junior varsity lining up against the varsity every single game but they also seem to manage to win one for the little guys. And the Falcons should soar this year on offense. At least until those Navy boys shoot them down again. Colorado State Rams 7-5 Former head coach Jim McElwain transferred a 22-17 record into an SEC job at the University of Florida. But never fear Ram fans, because former University of Georgia offensive coordinator Mike Bobo has now taken the helm. And he should do a reasonably good job for two or three seasons before he goes back down south too. Wyoming Cowboys 6-6 Head coach Craig Bohl is in the process of putting together a disciplined and tough program that should contend for Mountain West crowns in the future. How tough are these kids? Most of them actually live in Laramie, Wyoming! New Mexico Lobos 4-8 Former Notre Dame head coach and ESPN announcer Bob Davie came out of retirement to take over the Lobos program four years ago and after going 11-26 so far at UNM is now making a strong case for staying retired. San Diego State Aztecs 7-5 The Aztecs stout defense gives them a chance to win every game on their schedule. And considering the STDs that this university has been known to have running rampant on their campus it’s kind of ironic that their team wins games by telling your offense “no”. Nevada Wolfpack 5-7 Nevada is one of those teams that you rarely get to see but they are a pretty fun group to watch. The Wolf Pack have a solid running back in senior Don Jackson and defensive end Ian Seau is the nephew of late NFL Hall of Famer Junior Seau. And you still aren’t going to watch them. I think we both know that, don’t we? Fresno State Bulldogs 4-8 Fresno State went 6-6 last season, qualified for the Mountain West Championship, and went to a bowl game. The Bulldogs basically got rewarded for being average. What is this, America or something? Oh yeah, it is. San Jose State Spartans 4-8 With the recruiting classes that head coach Ron Caragher is putting together the future could be bright at San Jose State. And by future I do not mean this season. But maybe later. Some other time. But not now. Hawaii Rainbow Warriors 3-9 Hawaii plays Colorado, Ohio State, and Wisconsin out of conference this season which will make it very tough for the Rainbow Warriors to gain much momentum. But they will get significant paychecks for those opponents which will help when they have to buy out head coach Norm Chow’s contract after another disappointing season. UNLV Runnin Rebels 1-11 UNLV made some news when they bypassed June Jones, Jim Fassel, and Houston Nutt in favor of hiring Bishop Gorman high school coach Tony Sanchez. It will be an adjustment for Sanchez who will have to get used to lesser facilities, not to mention lesser players, than he had at the high school level. Did you miss our Independent Preview? Tomorrow we preview the Pac 12! “Independent? That isn’t even a conference!” Yes we know, that but there are some teams that are now Independent that are worthy of previewing. There are the Army Black Knights, and don’t forget about the Brigham Young Cougars. Okay, forget about both of those. This is completely about Notre Dame. 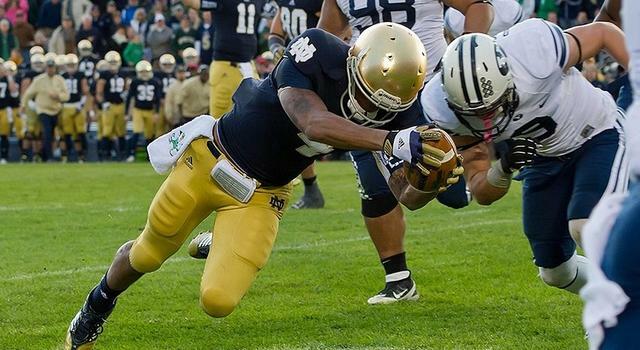 Notre Dame Fighting Irish 9-3 The good news for Notre Dame is that head coach Brian Kelly has done a great job of assembling talent and the Irish have as much as anyone. The bad news is that they have an absolutely brutal schedule with Texas, Georgia Tech, @Clemson, USC, Boston College, and @Stanford. So the Domers are going to drop a few games. But never fear because NO ONE acts like they won after they actually lose quite like Notre Dame fans. Brigham Young Cougars 7-5 Now an Independent, BYU is trying to schedule some big time programs to gain some national recognition. And if that doesn’t work they could always get into a huge postgame brawl like they did last year versus Memphis. Got recognized for that one, didn’t you Cougs? Army Black Knights 4-8 Army is taking small positive steps under head coach Jeff Monken and the only title they truly care about is the Commander-in-Chief’s trophy. But it is hard to win that trophy when you have lost to Navy for 13 years in a row. Oh…was I not supposed to bring that up? My bad. Don’t miss our Mountain West Preview! We now move on to a free preview of the Big 12 Conference. Last year they were shut out of the first ever College Football Playoff. That couldn’t possibly happen again, right? TCU Horned Frogs 12-0 With the return of QB Trevone Boykin and 16 starters, the Horned Frogs have a chance to be even better than last year, and they will most likely be favored in every game that they play. So maybe this year they can actually hold Baylor to less than 60. Baylor Bears 11-1 Baylor will also be favored in every game as well aside from that matchup with TCU in Fort Worth. So it looks like it all comes down to that Nov. 27th showdown for the Bears. And then it will all come down to Sunday Dec 6th when the CFB Selection Committee submits their final poll with Baylor ranked 5th again. Oklahoma Sooners 8-4 The Sooners are facing a tough decision on which QB to start. Fans like Baker Mayfield who is a playmaker. The coaching staff likes Trevor Knight who is more of an orthodox pocket passer. The bad news is that making good decisions under pressure is not always Bob Stoops’ strongest suit. Oklahoma State Cowboys 8-4 Last year the Cowboys fought through a rebuilding year and managed a 7-6 record with very little experience. It was the kind of tough performance that you would expect from head coach Mike Gundy. After all…he is a man. And he is indeed 40. West Virginia Mountaineers 8-4 The Mountaineers are a model of consistency. They are always tough at home. Their offense is always dangerous. Their head coach is always innovative. Their stadium in Morgantown always smells like burnt couch. Kansas State Wildcats 7-5 On paper it looks like the Wildcats have just lost too many people to contend in this division. Then again on paper it looks like 75 year old head coach Bill Snyder should be sitting in a chair watching his “stories”. Texas Longhorns 6-6 Longhorn fans were sick and tired of former head coach Mack Brown losing 3-4 games every year. Well they aren’t losing 3-4 games anymore now, are they? Texas Tech Red Raiders 5-7 Let me guess…the Red Raiders under head coach Kliff Kingsbury will score 30 points a game but will allow 40 points? Yeah, some things just never change. Iowa State Cyclones 2-10 The bad news is that the Cyclones have only won five games in the past two seasons and they play in a very tough conference. The good news is after this season we will say that they have only won seven games in the past three seasons. But then I’m a “glass half-full” kind of guy. Kansas Jayhawks 1-11 Jayhawks football fans can complain about how bad they are if they want to but the simple fact is there is no such thing as a Jayhawks football fan. It is a myth like a chupacabra, a leprechaun, or a Charlie Weis diet. Friday we will release our Independent Preview! Episode 39 of the Daly Dose Sports Podcast! What do Jordy Nelson and Seargent Moses Hightower have in common? Today Clint talks about three under the radar college football teams that might surprise people. A quick look at a few of the college football quarterback controversies that are brewing. Talking NFL and preseason injuries and Clint gives you some very important fantasy football tips. Plus what are the five worst preseason injuries in NFL history? Check out Episode 39. 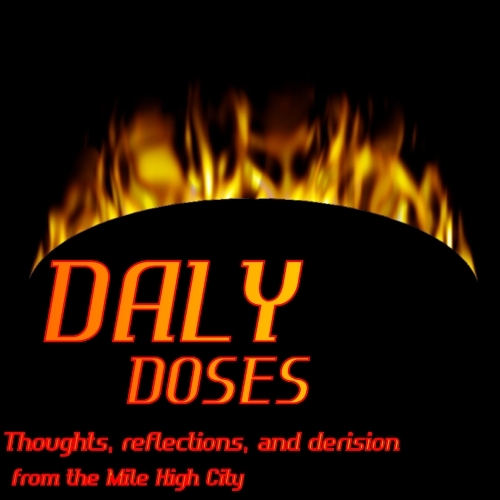 Daly Doses: Thoughts, reflections, and derision from the Mile High City! Another week of meaningless NFL preseason football. And nothing to show for it but some major injuries to key players. The Packers lost wide receiver Jordy Nelson to an ACL. He could miss the season. The Steelers lost center Maurkice Pouncey to a broken fibula that will require surgery. But the NFL owners didn’t lose a dime as they charged their season ticket holders for every one of those terrible scrimmages. And somehow the Washington Redskins did not lose their quarterback Robert Griffin III, depsite their best efforts to get him killed aginst the Detroit Lions last week. Griffin was sacked threee times, hit numerous other times, and fumbled twice, before leaving with concussion symptoms. The word in Washington is that Griffin is buddies with Washignton owner Daniel Snyder; and that Snyder insists on the coaching staff naming Griffin the starter. Everytime he went down I swear I saw his head coach Jay Gruden giggling on the sideline. Did you see Tiger Woods went into Sunday’s final day at the Wyndham Championship just two strokes off the lead? He shot a 70 on Sunday and finished at No. 178 in the final standings as 51 year old Davis Love III became the third oldest winner in PGA history. It is no longer surprising in any way when Tiger melts down. In fact, it’s expected. Next thing you’ll be telling me that he might have more than one girlfriend. Peyton Manning says that due to the neck surgeries he has undergone he doesn’t have any feeling in the fingertips of his right hand. So you’re telling me he can tickle himself? Oh excuse me for being Mr. Optimist. Video evidence was floating around that at the 2014 NFL Rookie Symposium Hall of Fame wide receiver Cris Carter stated that NFL players need to find a “fall guy” for when they get in to trouble. Carter was not telling these young men to make better decisions or to be careful of the people that they trust. He instead decided to told them they are too stupid to stay out of trouble so they had better get someone to pay the price for their sins. In New England they call those guys “ball boys”. 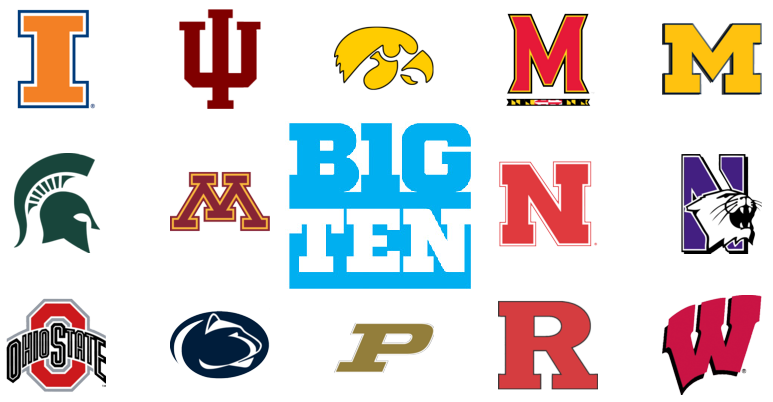 We now bring you a free preview of the Big 10 Conference! Can Ohio State go back to back? Can Jim Harbaugh make Michigan relevant? Can we get through an entire season without Wisconsin AD Barry Alvarez naming himself to coach another game? We answer those questions and more! Ohio State Buckeyes 12-0 Did head coach Urban Meyer completely revive Ohio State? Did he bring back the Big 10 conference from the dead? Will he be retiring soon to spend more time with his family? The answer to all three questions is most likely “yes”. Michigan State Spartans 11-1 The Spartans feel like they never get the respect that they deserve simply because their name isn’t Michigan or Ohio State. Well I am picking them to go 11-1 but only because their name is Michigan State. Penn State Nittany Lions 8-4 Head coach James Franklin did an admirable job of solidifying the Nittany Lions last season but they are probably a year away from really competing for a Big 10 crown. So sorry Penn State fans, but you should just wait until next year to watch any games. Michigan Wolverines 7-5 Jim Harbaugh comes back to Michigan which is exciting for the Big 10 conference and for Michigan fans. But let’s be honest…we would all rather have his brother John, right? Maryland Terrapins 6-6 The Terrapins actually beat Penn State and Michigan last year. Okay they weren’t really the strong Penn State and Michigan teams that we traditionally think of but I mean come on…this is Maryland. And this isn’t lacrosse. Indiana Hoosiers 6-6 If QB Nate Sudfeld can stay healthy, and the defense can hold up, the Hoosiers could give their fans something to half-heartedly watch until basketball season starts. Rutgers Scarlet Knights 5-7 The Scarlet Knights lost to Michigan State, Nebraska, Ohio State, and Wisconsin last season by a combined score of 180-44 but here at the Daly Dose we are all about keeping it positive this year. I am positive that Rutgers will get pounded by each one of those teams again this year too. Wisconsin Badgers 9-3 Wisconsin returns a number of starters from last year including senior QB Joel Stave but the Badgers are going to be inexperienced on their offensive line. Ironic that Wisconsin is a little thin on big white guys, isn’t it? Minnesota Golden Gophers 8-4 Minnesota returns some talent this season from a very efficient team that went 8-5 in 2014 and hopes are high. Unfortunately their schedule includes TCU, @Ohio State, and Wisconsin. Dreams dashed. Iowa Hawkeyes 7-5 Remember when the Hawkeyes were winning 10 games every season and head coach Kirk Ferentz was one of the hottest prospects in football? I didn’t think so. Illinois Fighting Illini 6-6 The Fighting Illini allowed 456 yards per game last season. Offensive players on opposing teams are calling their friends and family with start times for the Illinois game this year. Purdue Boilermakers 3-9 Sorry, Purdue just doesn’t have the playmakers to compete in the Big 10 this season. Or any other season. Or any other conference. Did you miss the ACC preview? 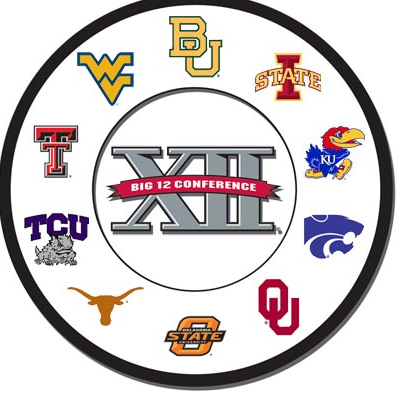 Coming on Thursday: The Big 12 Conference! Daly Dose Sports gets you ready for college football season like no one else. Here is the first of our college football conference previews giving a prediction and brief outlook for each team. We start with the Atlantic Coast Conference. Why? Because it starts with “A”. And I also am going to need you to stop asking so many questions. It’s a free preview. So enjoy. Florida State Seminoles 10-2 Florida State won’t have to worry about quarterback Jameis Winston getting in trouble this year. Of course they will miss the plays that he made. But head coach Jimbo Fisher has banned all players from going to bars this season. So…Good News! Suspensions should still be coming each and every week. North Carolina State Wolfpack 9-3 NC State went 8-5 in 2014 and they think they can improve on that total this season with 15 starters returning. And if there were any doubts, scheduling Troy, Eastern Kentucky, Old Dominion, and South Alabama should help too. Louisville Cardinals 8-4 Defensive coordinator Todd Grantham has done a pretty good job with the Cardinals defense as they allowed just 109 yards rushing per game last year. Of course head coach Bobby Petrino lost a good amount of talent on the other side of the ball so their offense may look like a motorcycle wreck this season. Oh, what? Too soon? Clemson Tigers 7-5 Head coach Dabo Swinney has built Clemson into one of the steadiest programs in the country. The Tigers will be overrated, beat some bad teams, lose a close game to a good team, and then lose at least another game to someone awful, before going to a meaningless bowl game It’s like clockwork. Boston College Eagles 6-6 When Steve Addazio took over this was a 2-10 team but he has somehow put together back to back winning seasons. Can he take the next step this season and contend for an ACC title? No, probably not. Wake Forest Demon Deacons 4-8 Wake Forest ran for just 39 yards per game last season. And while they aren’t going to be much better on the ground this year; at least the schedule will be significantly tougher. That was supposed to be something positive. Sorry about that. Never mind. Syracuse Orange 3-9 The Orange won’t have many playmakers again this season and with a formidable schedule maybe Jim Boeheim can just self-impose a postseason bowl game ban too. Georgia Tech Yellow Jackets 9-3 Georgia Tech won 11 games in 2014 despite allowing over 400 yards per game. How good could the Yellow Jackets be if they actually played some defense? Good thing we will never have to find out. North Carolina Tar Heels 9-3 The Tar Heels went 6-7 in 2014, and with new defensive coordinator Gene Chizik, UNC will either get more production from their players this season or they will go pay some new players to do the job better. Virginia Tech Hokies 8-4 The grumbling has started in Blacksburg as fans are wondering if long respected coach Frank Beamer should move on to the retirement home so they could really start winning. Hokie fans should ask Penn State and Texas fans how that all works out in the end. Pittsburgh Panthers 7-5 The Panthers are on their sixth coach since 2010. New head coach Pat Narduzzi was just hired in December and if form holds he should do a respectable job before taking a better position prior to the Armed Forces Bowl appearance. Duke Blue Devils 7-5 Head coach David Cutcliffe has done an incredible job of transforming the Duke football program from doormat to ACC contender. Now if he could just figure out how to bully the refs into giving him every single call like another Duke head coach that I won’t name here. Miami Hurricanes 6-6 The Canes lost Duke Johnson, Phillip Dorsett, and Ereck Flowers to the NFL Draft. Of course they went 6-7 with those players… so does it really matter? You can actually see blue flames coming off of head coach Al Golden’s seat right now. Virginia Cavaliers 4-8 Head coach Mike London was on the hot seat last season but he came through with a 5-7 season to save his job. And the fact that 5-7 was considered a good thing tells us all we need to know about the expectations at Virginia. The Daly Dose Sports college football preview is coming! With summer coming to a close and the college football season starting up soon the Daly Dose will begin releasing a free preview for each of the Power Five conferences (plus a few more) on Sunday. We will take a look at each of the teams in the ACC, Big 10, Big 12, Mountain West, Pac 12, SEC, and even a few other teams and give a brief outlook and prediction for each team. The Daly Dose gets you ready for college football like no other so you dont want to miss out!